Piano lessons online are wide and varied, yet surprisingly offer many benefits over taking traditional courses at a teacher’s home or studio. Looking back over your life, at any time, have you ever thought of learning how to play the piano, but you questioned whether or not the time, the commitment involved, or the cost, was too great a decision to make? 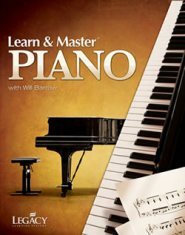 Reading below, see why piano lessons online could possibly be called “vastly superior” to $30-$45+ per week [expensive] traditional lessons, usually paid lesson by lesson, week after week... year after year... dollar after dollar. 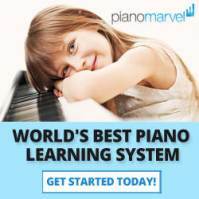 Piano lessons online are usually paid by one time, by one upfront cost, with a 30-60-90 Day Money Back guarantee... And the results of such a low, upfront cost? Here are the Top Ten Reasons why taking piano courses online deserve your attention. 1 - Flexibility - Unlike traditional piano lessons held in a home or studio, online piano lessons are available 24 hours a day, 7 days a week at your fingertips. Imagine taking piano lessons with your morning coffee, during the afternoon at break time, or at midnight with your favorite snack - lessons are there waiting for you. 2 - Cost - Given the cost of travel time, fuel, and the cost of lessons themselves, you save literally $1,000s of dollars taking piano lessons online. Example: Weekly piano lessons cost on average $20 per lesson. 40 weeks out of the year x $20 is $800. Most online piano lessons are literally a fraction of this cost. Piano courses online range $40-$200 on average. This amounts to one single cost, years of enjoyment, multiplied by money that’s left over in the bank. 3 - Less Time Overall - Online piano lessons have a way of boiling down the basics within a very short period of time. You never have to worry about your piano teacher stretching out the learning curve one week to the next unnecessarily. You learn all you need to know in a short period of time. What you learn from taking years of piano lessons... is often taught in just a few weeks online. 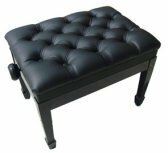 4 - Entertainment - While the goal of most people isn’t to become a concert pianist, your family and friends no doubt will enjoy you entertaining them. Not to mention of experiencing the sheer joy of learning in the process. 5 - Learn Any Level of Music - Most online piano lessons teach you the basics, whereas other courses guide you to advanced levels of learning. Depending on the course, most lessons build on previous lessons taught, and prepare you to build even further on what you've already learned. 6 - Variety of Methods - Browse through a variety of methods available and see what courses appeal to you the most. Some courses go from beginning to advanced, whereas others focus on primary levels only. 7 - Fulfillment - Learning to play the piano gives you a sense of fulfillment. Hearing your music come to life gives you great joy, as you begin to communicate in another language - the universal language of music. Exploring this talent gives you even greater incentive to share this gift with family and friends. 8 - Less Stress - There’s zero pressure. Practice one course as often as you like, or however many times you need to until you master the lesson. Go as slow or as fast as you like. Having fun in the process is the key. 9 - Materials are included. 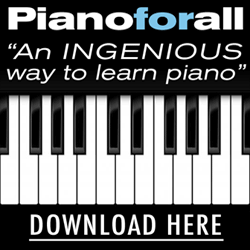 No need to pay for materials along with piano courses online. Step-by-step videos, printable sheet music, and PDF instructions, are included in the cost with most courses. 10 - Fun, Fun, and More Fun - What used to take years to master now is accomplished in a matter of weeks. 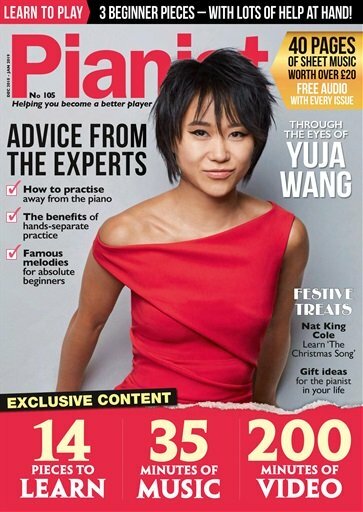 Avoid the time and frustration of taking months - not to mention years - of private piano instruction, and start to learn the piano in only a short period of time. CLICK on this Link to learn to play your favorite songs in the comfort of your own home, from a teacher who has had many years of teaching experience.